Ready to upgrade your commercial restrooms? 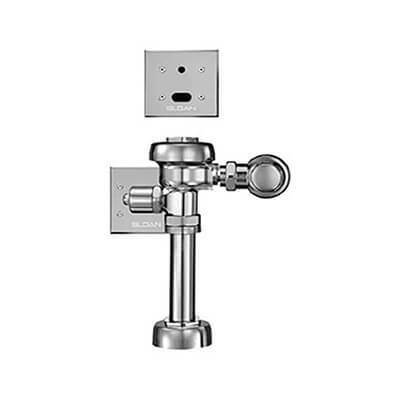 Take a look at our top selection of Sloan flush valves. Provide the convenience of auto flushing urinals and toilets while creating a more hygienic environment with sensor activated flushometers. Select models allow a complimentary flush with the push of a button, which doubles as a back up flushing method for when batteries go out. Convert your standard toilets and urinals today with automatic Sloan flushers. Automatic flusher systems are catching on fast because more and more people are beginning to appreciate their usefulness. This may be because people are becoming increasingly cautious of their personal hygiene. 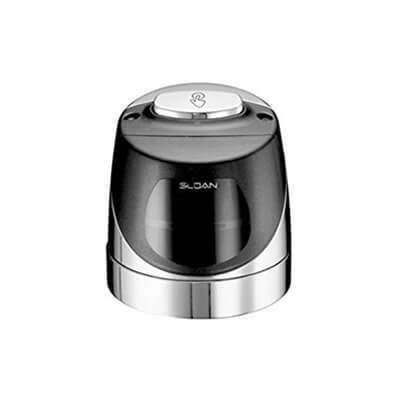 The Sloan automatic toilet flusher is a quality product that many people are choosing as their preferred automatic flusher. Below you will see how this product combines technology and usability to ensure quality and long-lasting service. The sensor is arguably the most important part of an automatic flusher. The sensor determines when the automatic flusher will activate the flush. This product is fitted with a sensor that accurately distinguishes between a passerby and a toilet user while also detecting the duration spent on the toilet. This feature saves on water since the flusher only activates after the toilet has been used. The amount of water flushed also varies according to the duration of time spent on the toilet. In addition, the flusher allows you to set the required range according to the size of the restroom. The range indicator light helps you to adjust the range accordingly. The Sloan flusher has been made with the user in mind. It features buttons that allow you to choose the amount of water required to flush. 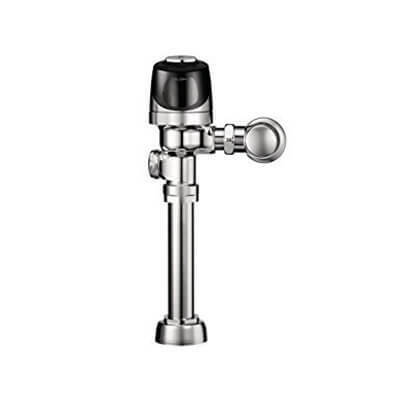 This gives you greater control over the amount of water that the system uses when flushing. In addition, the fixed metering bypass system ensures that the pre-set flushing system settings cannot be tampered with thus ensuring water conservation. The system comes with an easy to install sweat solder adapter. This ensures that you can have the system installed without the help of a skilled technician. In addition, some of the parts of the system are made from synthetic rubber that is resistant to Chloramine. This ensures durability of the system thus reducing your running costs. Furthermore, the electronic parts are protected by a metal cover thus enhancing durability. The system also has an indicator for low battery level. This ensures that your flusher never goes off since it gives you sufficient time to replace “dying” batteries. However, this does not mean that the batteries require constant replacement. They are meant to last for a long time. This flusher is fitted with a Courtesy Flush button that allows you to manually flush the system whenever you need to. The system also has a Sentinel flush feature that flushes the system at least once every 72 hours. This prevents build-up of odor even when the toilet or urinal is not in use. Preventing build-up of Uric acid which is found in Urine. Most people don’t flush after urinating thus causing the build-up Uric acid. This, in turn, causes bacterial growth and bad odors. Ensuring that users avoid cross-contamination. This is because bathroom users don’t have to touch the automatic flusher. It is estimated that 1 in 5 people don’t wash their hands. Among those that do wash their hands, only 5% do it properly. This means that even a person who is just flushing can leave harmful germs and bacteria on a toilet handle. Ensuring that your toilet always has a nice odor and a nice appearance. They are eco-friendly since they save on water and energy. Enhanced durability since they don’t involve handling. Easy to use especially for children and the elderly.